This is a brief chronological list of the Graphics Group research papers. Additional material, abstracts, etc. can be found in the research pages. G. Papaioannou, I. Koutsopoulos, Tile-based Caching Optimization for 360° Videos, Proc. ACM International Symposium on Mobile Ad Hoc Networking and Computing (MobiHoc),2019. A. Gkaravelis, G. Papaioannou, Light Optimization for Detail Highlighting, Computer Graphics Forum (proc. Pacific Graphics 2018), 37(7), pp. 37-44, October, 2018. P. Mavridis, G. Papaioannou, Practical Elliptical Texture Filtering on the GPU, GPU Pro 360 Guide to Rendering, 1st edition, W. Engel (Ed. ), book chapter, A K Peters/CRC Press, ISBN 9780815365501, p. 161-173, 2018. A. Gaitatzes, G. Papaioannou, Progressive Screen-Space Multichannel Surface Voxelization, GPU Pro 360 Guide to Rendering, 1st edition, W. Engel (Ed. ), book chapter, A K Peters/CRC Press, ISBN 9780815365501, pp. 299-315, 2018. M. A. Savelonas, A. Andreadis, G. Papaioannou, P. Mavridis, Exploiting Unbroken Surface Congruity for the Acceleration of Fragment Reassembly, Proc. EUROGRAPHICS Workshop on Graphics and Cultural Heritage, 2017. A. A. Vasilakis, K. Vardis, G. Papaioannou, K. Moustakas, Variable k-Buffer using Importance Maps, Proc. Eurographics 2017, short paper track, 2017. A. Gkaravelis, G. Papaioannou, Detail Highlighting using a Shadow Edge Histogram, Proc. Eurographics 2017, short paper track, 2017. K. Vardis, A. Vasilakis, G. Papaioannou, DIRT: Deferred Image-based Ray Tracing, proc. High Performance Graphics, 2016. A. Gkaravelis, G. Papaioannou, Inverse Lighting Design using a Coverage Optimization Strategy, Visual Computer (proc. CGI 2016), Springer, DOI 10.1007/s00371-016-1237-9, 2016. K. Kalampokis, G. Papaioannou, A. Gkaravelis, A Generic Physically-based Approach to the Opening Design Problem, Proc. Eurographics 2016 (short paper), 2016. A. Andeadis, G. Papaioannou, P. Mavridis, GPU Accelerated Computation of Geometric Descriptors in Parametric Space (chapter), In book Computer Vision, Imaging and Computer Graphics Theory and Applications, Springer, pp 41-61, 2016. K. Vardis, A. Vasilakis, G. Papaioannou, A Multiview and Multilayer Approach for Interactive Ray Tracing, Proc. ACM SIGGRAPH Symposium on Interactive 3D Graphics and Games (i3D 2016), pp. 171 - 178, 2016. P. Mavridis, I. Sipiran, A. Andreadis, G. Papaioannou, Object Completion using k-Sparse Optimization, Computer Graphics Forum (proc. Pacific Graphics), vol. 34, no. 7, 2015. A. Andreadis, G. Papaioannou, P. Mavridis, Generalized Digital Reassembly using Geometric Registration, Proc. Digital Heritage 2015. P. Mavridis, G. Papaioannou, MSAA-Based Coarse Shading for Power-Efficient Rendering on High Pixel-Density Displays, High Performance Graphics (quick talk, poster), 2015. A. Andreadis, R. Gregor, I. Sipiran, P. Mavridis, G. Papaioannou, T. Schreck, Fractured 3D Object Restoration and Completion, ACM SIGGRAPH 2015 Poster. A. A. Vasilakis, G. Papaioannou, I. Fudos, k+-buffer: An Efficient, Memory-Friendly and Dynamic k-buffer Framework, IEEE Transactions on Visualization and Computer Graphics, 2015. P. Mavridis, A. Andreadis, G. Papaioannou, Efficient Sparse ICP, Computer Aided Geometric Design (Proc. Geometric Modeling and Processing), vol. 35–36, pp. 16-26, 2015. A. A. Vasilakis, G. Papaioannou, Improving k-buffer methods via Occupancy Maps, Eurographics 2015 (short paper). P. Mavridis, A. Andreadis, G. Papaioannou, Fractured Object Reassembly via Robust Surface Registration, Eurographics 2015 (short paper). A. A. Vasilakis, G. Papaioannou, Accelerating k+-buffer using efficient fragment culling, Proc. 19th Symposium on Interactive 3D Graphics and Games (i3D - poster). ACM, San Francisco, California, pp. 129, 2015 (poster abstract). A. Gkaravelis, G. Papaioannou, K. Kalampokis, Inverse Light Design for High-Occlusion Environments, proc. GRAPP 2015. A. Andreadis, G. Papaioannou, P. Mavridis, A Parametric Space Approach to the Computation of Multi-Scale Geometric Features, proc. GRAPP 2015. K. Vardis, G. Papaioannou, A. Gkaravelis, Real-time Radiance Caching using Chrominance Compression, Journal of Computer Graphics Techniques (JCGT), 3(4), pp. 111-131, 2014. R. Gregor, Sipiran, I., Papaioannou, G., Schreck, T., Andreadis, A., and Mavridis, P., Towards Automated 3D Reconstruction of Defective Cultural Heritage Objects, Proc. Eurographics Workshop on Graphics and Cultural Heritage. pp. 135-144, 2014. E. Eftaxopoulos, A. Vasilakis, I. Fudos, AR-TagBrowse: Annotating and Browsing 3D Objects on Mobile Devices, Eurographics poster. Strasbourg, 2014. A. Andreadis, P. Mavridis, G. Papaioannou, Facet Extraction and Classification for the Reassembly of Fractured 3D Objects, Eurographics poster. Strasbourg, 2014. T. Theoharis, G. Papaioannou, K. Bjørlykke, Ø. Ekroll, D. Riekke-Zapp, A. Lein, A. Andreadis, Multi-scale 3D Digitization at Nidaros Cathedral: From Archiving to Large-scale Visualization, 18th Conference on Cultural Heritage and New Technologies. 2013. S. Katsigiannis, G. Papaioannou, D. Maroulis, A GPU-based Real-time Video Compression Method for Video Conferencing. In Proc. 18th IEEE/EURASIP Int. Conf. on Digital Signal Processing (DSP2013), 2013. P. Mavridis, G. Papaioannou, Practical Frame Buffer Compression, GPU Pro 4. CRC Press, 2013. A. Gaitatzes, G. Papaioannou, Progressive Screen-space Multi-channel Surface Voxelization, GPU Pro 4. CRC Press, 2013. K. Vardis, G. Papaioannou, A. Gaitatzes, Multi-view Ambient Occlusion with Importance Sampling. Proc. ACM SIGGRAPH Symposium on Interactive 3D Graphics and Games (i3D 2013), pp. 111-118. S. Katsigiannis, G. Papaioannou, D. Maroulis. A Real-Time Video Encoding Scheme Based on the Contourlet Transform, Design and Architectures for Digital Signal Processing, Dr. Gustavo Ruiz (Ed. ), ISBN: 978-953-51-0874-0, InTech, 2013. 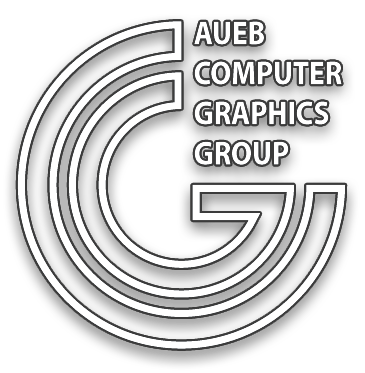 P. Mavridis, G. Papaioannou, The Compact YCoCg Frame Buffer, Journal of Computer Graphics Techniques, 1(1), 19-35, 2012. P. Mavridis, G. Papaioannou, Texture Compression using Wavelet Decomposition, Computer Graphics Forum (Proc. Pacific Graphics 2012), 31(7), 2012. S. Katsigiannis, G. Papaioannou, D. Maroulis, A Contourlet Transform based algorithm for real-time video encoding, SPIE Photonics Europe, Real-Time Image and Video processing Conference, 16-19 April, Brussels, Belgium, 2012 (best student paper award). P. Mavridis, G. Papaioannou, Practical Elliptical Texture Filtering, GPU Pro 3. A. K. Peters/CRC Press, 2012. P. Mavridis, G. Papaioannou, Texture compression using wavelet decomposition: A preview. Poster, Proc. I3D 2012: ACM SIGGRAPH Symposium on Interactive 3D Graphics and Games, p. 218. A. Gaitatzes, P. Mavridis, G. Papaioannou, Two Simple Single-pass GPU methods for Multi-channel Surface Voxelization of Dynamic Scenes, Proc. Pacific Graphics 2011. G. Papaioannou, Real-Time Diffuse Global Illumination Using Radiance Hints, Proc.ACM SIGGRAPH Symposium on High Performance Graphics (HPG '11), pp. 15-24. P. Mavridis, G. Papaioannou, Global Illumination Using Imperfect Volumes. Proc. GRAPP 2011. P. Mavridis, G. Papaioannou, High Quality Elliptical Texture Filtering on GPU, Proc. 2011 ACM SIGGRAPH Symposium on Interactive 3D Graphics and Games (I3D 2011), San Francisco, CA, USA, pp. 23-30, 2011. P. Mavridis, A. Gaitatzes, G. Papaioannou, Volume-based Diffuse Glocal Illumination. Proc. CGVCVIP ’10: Proceedings of Computer Graphics, Visualization, Computer Vision and Image Processing 2010. A. Gaitatzes, P. Mavridis, G Papaioannou, Interactive Volume-based Indirect Illumination of Dynamic Scenes, Proc. 3IA’10: Proceedings of the 2010 International Conference on Computer Graphics and Artificial Intelligence, May 2010. G. Papaioannou, M. L. Menexi, C. Papadopoulos, Real-Time Volume-Based Ambient Occlusion, IEEE Transactions on Visualization and Computer Graphics, pp. 752-762, September/October, 2010. A. Gaitatzes, A. Andreadis, G. Papaioannou, Y. Chrysanthou, Fast Approximate Visibility on the GPU Using Precomputed 4D Visibility Fields, Proc. WSCG 2010, pp. 131-138, 2010. C. Papadopoulos, G. Papaioannou, Realistic Real-time Underwater Caustics and Godrays, Proc. GraphiCon '09, pp. 89-95, 2009. C. Koniaris, A. Gaitatzes, G. Papaioannou, An Automated Modeling Method for Multiple Detail Levels Of Real-time Trees, Proc. IEEE Int. conf. Games and Virtual Worlds for Serious Applications, pp.53-60, 2009. A. Gaitatzes, Y. Chrysanthou, G. Papaioannou: Presampled Visibility for Ambient Occlusion, Proc. WSCG 2008, Journal of WSCG, 16(1-3), pp. 17-24, 2008. P. Stavrou, G. Papaioannou, T. Theoharis, Mending Fractured Models Using Surface Patches, Proc. 10th Computer Graphics and Artificial Intelligence Conference, Athens, May 2007. D. Christopoulos, A. Gaitatzes, G. Papaioannou, G. Zyba, Designing a Real-time Playback System for a Dome Theater, Proc. Eurographics 7th International Symposium on Virtual Reality, Archaeology and Intelligent Cultural Heritage VAST, pp. 35-40, 2006. A. Gaitatzes, G. Papaioannou, D. Christopoulos, G. Zyba, Media Productions for a Dome Display System, Proc. ACM Symposium on Virtual Reality Software and Technology (VRST) 2006, pp. 261-264, 2006. G. Papaioannou, A. Gaitatzes, D. Christopoulos, Efficient Occlusion Culling using Solid Occluders. Proceedings of the 14-th International Conference in Central Europe on Computer Graphics, Visualization and Computer Vision (WSCG '2006), pp. 85-93, 2006. P. Stavrou, P. Mavridis, G. Papaioannou, G. Passalis, T. Theoharis, 3D Object Repair Using 2D Algorithms, Proc. International Conference on Computational Science 2006 (ICCS 2006), LNCS, Springer. A. Gaitatzes, D. Christopoulos, G. Papaioannou, Virtual Reality Systems and Applications: The Ancient Olympic Games. Proc. 10th Panhellenic Conference on Informatics (PCI'05), Springer LNCS 3746, pp. 155-165. A. Gaitatzes, D. Christopoulos, G. Papaioannou, The Ancient Olympic Games: Being Part of the Experience, Proc. Eurographics 5th International Symposium on Virtual Reality, Archaeology and Intelligent Cultural Heritage (VAST), pp. 19-28, 2004. N. Vajramushti, I. A. Kakadiaris, T. Theoharis, G. Papaioannou, Efficient 3D Object Retrieval Using Depth Images, 6th ACM SIGMM International Workshop on Multimedia Information Retrieval (ACM SIGMM MIR '04), New York, USA, pp. 189-196, 2004. G. Papaioannou, E. A. Karabassi, On the Automatic Assemblage of Arbitrary Broken Solid Artefacts, Image & Vision Computing, Elsevier, 21(5), pp. 401-412, 2003. E. A. Karabassi, G. Papaioannou, C. Fretzagias and T. Theoharis, Exploiting Multiresolution Models to Accelerate Ray Tracing, Computers & Graphics, Elsevier, 27(1), pp. 91-98, 2003. G. Papaioannou, A. Gaitatzes, D. Christopoulos, Enhancing Virtual Walkthroughs of Archaeological Sites, Proc. Eurographics 4th International Symposium on Virtual Reality, Archaeology and Intelligent Cultural Heritage (VAST), pp. 175-184, 2003. G. Papaioannou, T. Theoharis, Fast Fragment Assemblage Using Boundary Line and Surface Matching, IEEE ICPR/ACVA 2003 proceedings. D. Christopoulos, A. Gaitatzes, G. Papaioannou, Image-based Techniques for Enhancing Virtual Reality Environments, Proc. of 2nd International Workshop on ICT's, Arts and Cultural Heritage, Athens, Greece, 2003. G. Papaioannou, E.A. Karabassi, T. Theoharis, Reconstruction of Three-dimensional Objects through Matching of their Parts, IEEE Transactions on Pattern Analysis and Machine Intelligence, 24(1), pp.114-124, 2002. G. Papaioannou, E.A. 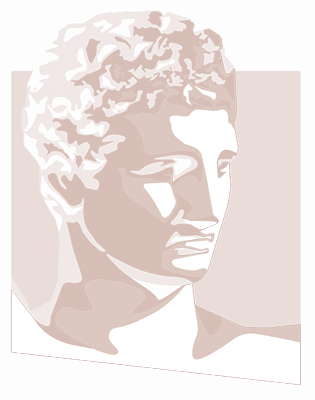 Karabassi, T. Theoharis, Virtual Archaeologist: Assembling the Past, IEEE Computer Graphics and Applications, 21(2), pp. 53-59, 2001. T. Theoharis, G. Papaioannou, E. A. Karabassi, The Magic of the Z-Buffer: A Survey, Proceedings of the 9-th International Conference in Central Europe on Computer Graphics, Visualization and Computer Vision (WSCG '2001), pp. 379-386, 2001. G. Papaioannou, E.A. Karabassi, T. Theoharis, Segmentation and Surface Characterization of Arbitrary 3D Meshes for Object Reconstruction and Recognition, Proceedings of the International Conference on Pattern Recognition ‘2000, IEEE, 2000, pp. 734-737. G. Papaioannou, E.A. Karabassi, T. Theoharis, Automatic Reconstruction of Archaeological Finds - A Graphics Approach, Proc. of the 4th International Conference on Computer Graphics and Artificial Intelligence (3IA' 2000), Limoges, France, pp117-125, 2000. M. Hatzitheodorou, A. Karabassi, G. Papaioannou, A. Boehm, T. Theoharis, Stereo Matching Using Optic Flow, Real Time Imaging, Academic Press, 6(4), pp. 251-266, 2000. E.A. Karabassi, G. Papaioannou, T. Theoharis, A Fast Depth Buffer Based Voxelization Algorithm, Journal of Graphics Tools, ACM, 4(4), pp.5-10, 1999. E. A. Karabassi, G. Papaioannou, Th. Theoharis, Intersection Test for Collision Detection in Particle Systems, Journal of Graphics Tools, ACM, 4(1), pp 25-37, 1999. G. Papaioannou, T. Theoharis, A. Boehm, A Texture Controller, The Visual Computer, Springer-Verlag, 14(10), pp 488-496, 1998. Graphics and Visualization: Principles & Algorithms, T. Theoharis, G. Papaioannou, N. Platis, N. M. Patrikalakis, AK Peters, USA, 2008. Graphics and Visualization: Principles & Algorithms, T. Theoharis, G. Papaioannou, N. Platis, N. M. Patrikalakis, Symmetria, GR, 2010. Graphics: Principles and Algorithms, T. Theoharis and A. Boem, Symmetria, 1999 (Greek computer graphics textbook - chapters). K. Vardis, Efficient Illumination Algorithms for Global Illumination in Interactive and Real-Time Rendering, Ph.D. Dissertation, Department of Informatics, Athens University of Economics and Business, Greece, 2016. Additional content can be found here. P. Mavridis, Efficient Texture Representation and Sampling Algorithms for Real-time Rendering, Ph.D. Dissertation, Department of Informatics, Athens University of Economics and Business, Greece, 2013 (additional content can be found here). G. Papaioannou, Automatic Reconstruction of Objects from their Parts and its	Application to Digital Archaeology, Ph.D. Dissertation (in Greek), Department of Informatics and Telecommunications, National and Kapodistrian University of Athens, Greece, 2001. S. Katsigiannis, Acceleration of the Contourlet Transform, MSc Thesis, Department of Informatics, Athens University of Economics and Business, 2011. A. Andreadis, Ray Tracing Acceleration using Displacement Fields on GPU, MSc Thesis, Department of Informatics, Athens University of Economics and Business, 2008. M. L. Menexi, Pre-calculated Volumetric Illumination for Real-time Graphics, MSc Thesis, Department of Informatics, Athens University of Economics and Business, 2008. A. A. Vasilakis, K. Vardis, A. Gkaravelis, G. Papaioannou, K. Kalampokis, State of the Art Report on Interactive Global Illumination Techniques and Inverse Lighting Problems, GLIDE project, 2014. T. Theoharis, G. Papaioannou, P. Mavridis, A. Andreadis, M. Savelonas, I. Sipiran, P. Perakis, C. Schelewald, D. R. Zapp, workshop on Predictive Techniques for 3D Data Augmentation in Cultural Heritage, Computer Applications and Quantitative Methods in Archaeology (CAA), 2015. A. Gaitatzes, G. Papaioannou, and D. Christopoulos. 2006. Virtual reality systems and applications. In Proceedings of the ACM symposium on Virtual reality software and technology (VRST '06). ACM, New York, NY, USA, pp. 384.